Presented by Goddess Fish Promotions. Ah, February 1st, the beginning of a new month and a month we've decided to dedicate to love stories. What better way to kick off this special month than with a romance? 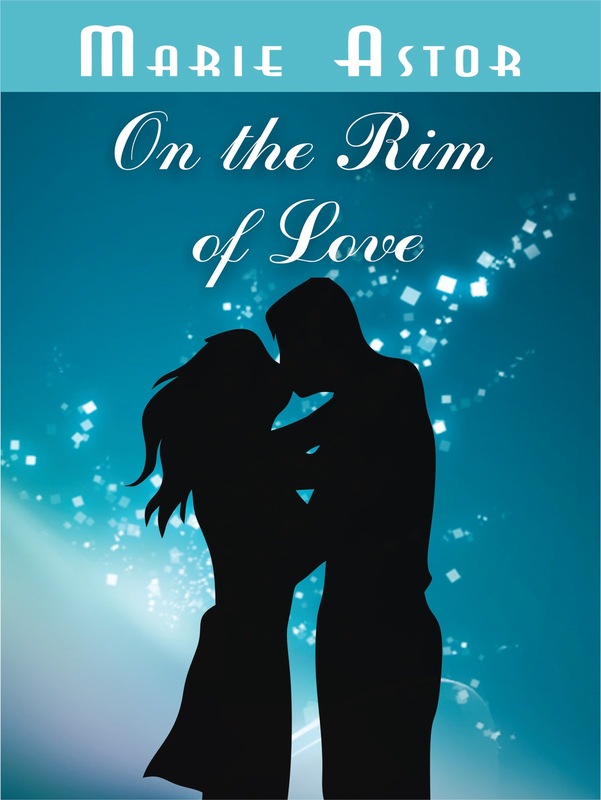 We host today's stop for the On The Rim of Love Virtual Book Tour. Author Marie Astor has written an insightful guest post on writing contemporary romance and is also sharing an excerpt from her love story. Don't forget to enter the fabulous giveaway the author is running (jewelry!!!). Book summary: Maggie Robin has been dating the irresistibly good-looking, successful Jeffrey Preston for two years. But when Jeffrey proposes marriage a week after Maggie’s college graduation, she is no longer sure if she wants to marry a workaholic TV producer. Her doubts culminate when during a ski trip to British Columbia, Maggie meets Taylor Denton, a handsome, free-spirited big mountain skier who is the complete opposite of Jeffrey. It does not take Maggie long to realize that she has fallen in love with Taylor and she decides to break off her engagement with Jeffrey. But just when she thinks she has found the love of her life, an ill-fated misunderstanding tears Maggie and Taylor apart. A week later, Maggie is told that Taylor has died in a tragic ski accident; yet, her heart refuses to believe in Taylor’s death. When Maggie returns to Taylor’s native town, she learns that Taylor is indeed alive, but has been seriously injured. Resolved to bring her lover back to life Maggie stands by Taylor’s side, convincing him to embrace life again. Before I started writing contemporary romance novels, I was (and still am) an avid reader of romance. One of my favorite things about this genre is that it allows the reader a diversion from everyday life, but that does not mean that contemporary romance cannot undertake serious matters and approach them from a lighter angle. Let’s face it, romance makes for a big part of women’s lives – whether looking for one’s soul mate or searching for ways to maintain sparks in an existing relationship, women spend a lot of time worrying about this part of their lives. Hence, comes the dilemma for a contemporary romance author to create an entertaining, uplifting work of fiction that readers can enjoy. In my contemporary romance novel, On the Rim of Love, Maggie has just gotten engaged to her incredibly good-looking and successful TV producer boyfriend. Life should be perfect, but something in her heart is telling her otherwise. When Maggie meets big mountain skier, Taylor, she is instantly drawn to him, but refuses to admit her attraction because of her engagement. And yet, she can’t get Taylor out of her mind, posed with a dilemma whether to follow her heart or play it safe. Ultimately, Maggie chooses to follow her heart. Now, before you start screaming at me that things like that do not happen in real life, I will be the first to admit that, yes - usually, they do not (although, sometimes they do!). I could have set the story in Boston or New York instead of a ski town and made Taylor an accountant or an engineer, but what fun would that be? I am, after all, a contemporary romance author, and I write fiction that is uplifting and at times a little bit fantastic, but in a good way. The other day I was having drinks with one of my friends whom I have not seen for a long time. I was sad to find out that she had just broken up with her boyfriend of five years – the boyfriend she thought was the one and expected to get engaged to. Needless to say, my friend was in broken spirits, carrying on about how impossible it is to meet ‘the right guy’; meanwhile, she was completely oblivious to the cute guy on the other side of the bar who was casting glances in her direction. When I pointed out this fact, my friend dismissed me at first, but when I insisted, she did smile back at the guy. Long story short, he came over and asked to buy her a drink. Now, they did not go on to live happily ever after – she never even gave him her number, but after this encounter, my friend’s confidence was considerably higher, and a few weeks later she did go on her first date, albeit with a different guy. I was very glad to hear that my best friend was finding her bearings in the wobbly world of dating and could not help by note a similarity between her story and Maggie’s – both women had to learn to step out of their comfort zones and take a chance on love again - a task that is just as difficult to accomplish during an exotic ski vacation as it is right in your own home. “Taylor, look. Isn’t he beautiful?” Maggie pointed at the regal bird that was circling in vast, sweeping loops, oblivious to their presence. “Doesn’t he look free, as though nothing could ever touch him?” Maggie murmured wistfully. As if in testament to Taylor’s words, the eagle surged downward in a swift, sharp dive and soared back up several moments later, clasping his catch in his claws, beating his wings hastily as he made his way into the sky. “You really believe that?” asked Maggie. About the author: Marie Astor is a die-hard romantic who wholeheartedly believes in true love, which is why she writes in the contemporary romance genre. 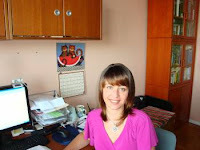 Marie is the author of contemporary romance novels, On the Rim of Love, Lucky Charm, and a short story collection, A Chance Encounter and Other Stories. In addition to being a writer, Marie is an avid hiker, an excellent swimmer, a good skier, and a capable badminton player. Currently, Marie is working on her next novel - stay tuned for details! If you would like to receive updates about book releases and events, please visit Marie’s website or visit Marie at her Facebook page. GIVEAWAY: Marie will be awarding a custom made jewelry set (necklace and earrings) to one randomly chosen commenter and to the host with the most comments (excluding the host's and Marie's) --US/Canada only, please. Increase your chances of winning by following this tour and commenting! The more you comment, the better your chances of winning. Tour dates: here. We thank Marie Astor and Goddess Fish Promotions. The plot of this story sounds so good and I enjoyed the excerpt and author comments. I think this plot shows that if you wait, you will find that perfect for you, person. It is February...The perfect time for love stories. Sometimes, I think that women do settle. They think, "I should be happy" and "Maybe I'll be happier once we get married" and "I guess this is what love is." They listen to friends and family who say how perfect a guy is and how lucky she is to have him and "You expect too much." Your book encourages women to listen to their gut. I like that! Hi Reader Girls - thank you so much for hosting me today! Hi Sophia - thank you so much for your comment! Hi MomJane - thank you for your comment - I'm so glad to hear that you like the book's premise! Hi Catherine - thanks you for your comment - you're exactly right - when it comes to true love, there's no settling! I enjoyed reading the excerpt and your post. The book sounds very good.